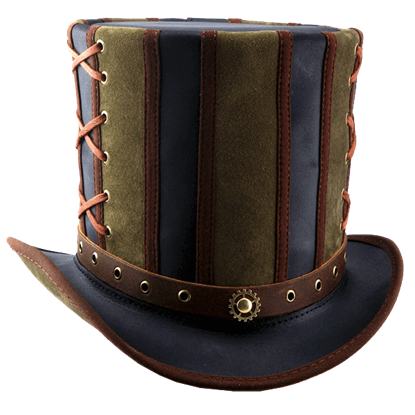 Nothing will complement your retro-futuristic Victorian style better than a fashionable steampunk hat. Each one of our Neo-Victorian hats has been masterfully crafted from top materials in the esoteric style. 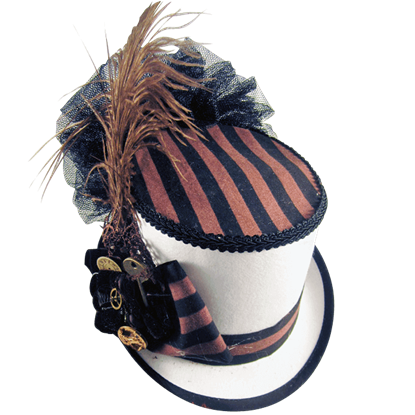 You can find all manner period hats here, whether you are looking for a ladies riding hat or a gentlemans top hat. 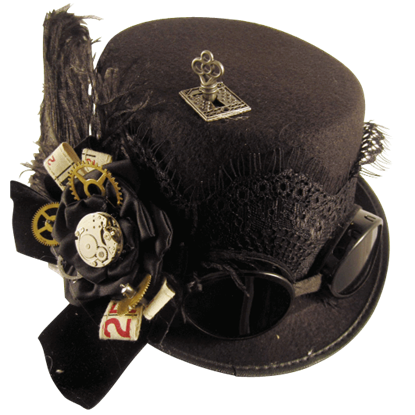 We carry a variety of steampunk mini hats, fascinators, and netted hats for Victorian women, as well as derby hats, fedoras, and drivers caps for men. 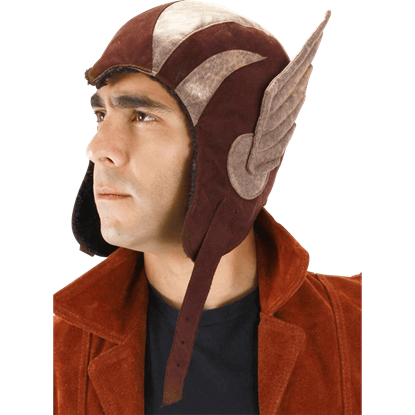 Both genders can appreciate our variety of steampunk officers caps and other military headwear, including fun aviator caps. These attractive hats will work wonderfully with almost any look. 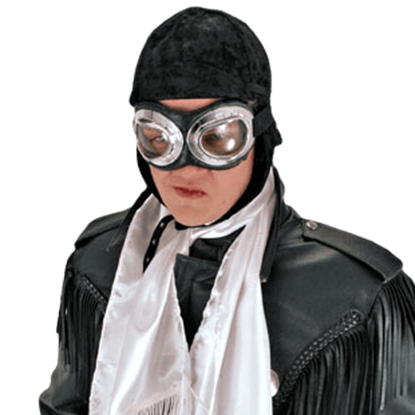 Our steampunk headwear features a variety of eye-catching decorations like gears, goggles, feathers, clock parts, keys, and airbrushed art, helping you to elevate your look to the max. 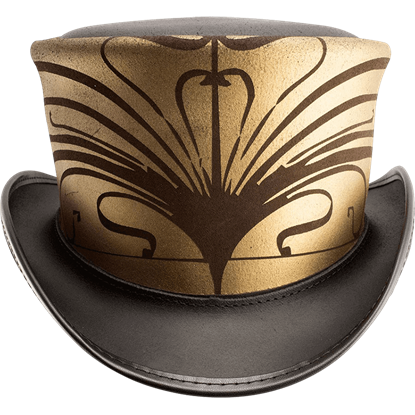 Inspired by the spirit of the same name, the Absinthe Steampunk Top Hat is a perfectly eccentric complement to a fearless wardrobe. 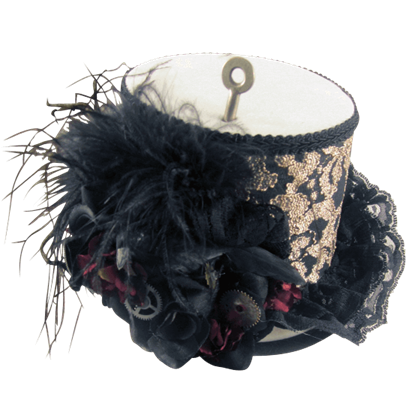 It is a beautifully crafted top hat that features amazingly futuristic and appealing style. An art movement enraptured by curved lines, natural forms, and harmonious designs, Art Nouveau was embraced by all the decorative arts, including fashion. The Art Nouveau Hat features a gorgeous design inspired by the period. 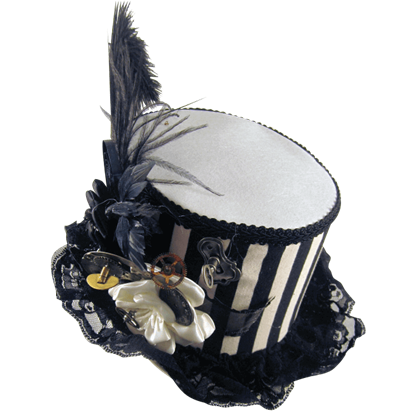 The Black and White Striped Steampunk Riding Hat is the sort of hat that one would expect to see a Steampunk lady wearing while she is out and about on the town, riding a Steam vehicle to and from where-ever she might need to go. The bomber hat was rather popular with aircraft pilots that flew open cockpits during World War I, protecting them from the cold air that rushed past their heads. The Black Aviator Cap is an accurate replica that will keep your warm. The Black Bell Topper Hat is a great way to add a touch of 19th century Victorian appeal to any outfit you wear. It looks particularly striking when combined with Steampunk looks, ranging from casual to gentleman to adventurer. 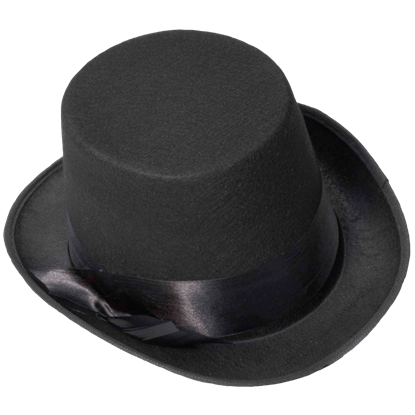 The bowler hat, also known as the derby hat, has been a popular piece of headwear for well over one-hundred years. 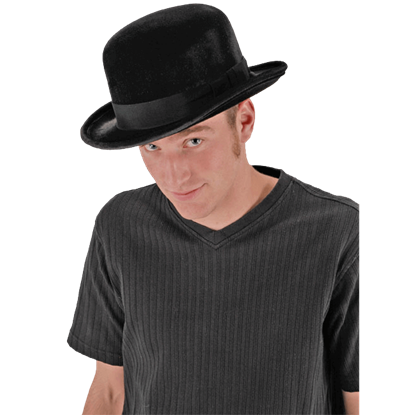 Now, here at Medieval Collectibles, we offer you a stylish Black Bowler Hat that is great for costumes and every day wear. 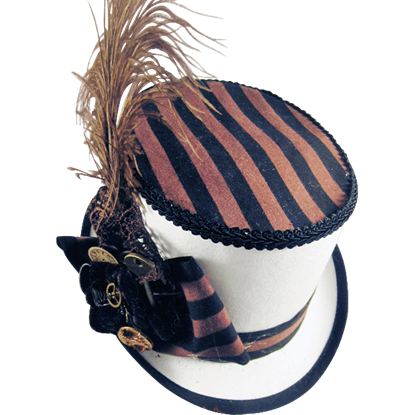 The Black Coachman Hat is a fantastic and authentic piece of headgear that looks great when paired with any Victorian or renaissance costume, especially if that costume is supposed to actually be a coachman of some kind! It is hard to find something that black does not match. 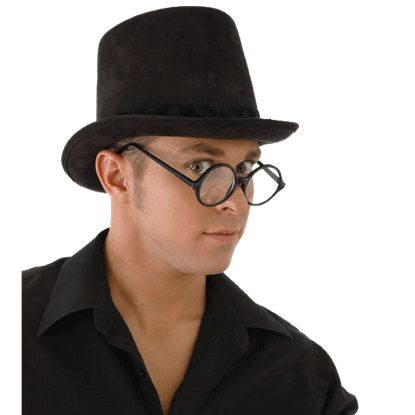 If you're certain you need a stylish Steampunk hat but do not know which matches well, then go with the safe bet - the Black Geared Steampunk Riding Hat with Goggles.